RMB loans in the first quarter increased by nearly one trillion in March. M2 growth rate in March was 8.6%, a 13-month high. In the first quarter, RMB loans increased by nearly one trillion year-on-year. March M2 growth rate of 8.6% hit a 13-month high. 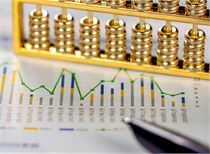 Recently, the central bank released the financial statistics report for the first quarter of 2019, the statistics report on the stock of social financing scale at the end of March 2019, the report on the incremental statistics of social financing scale in the first quarter of 2019, and the total assets of financial institutions at the end of 2018. The data shows that at the end of March, the broadcurrency(M2) increased by 8.6% year-on-year, setting a new 13-month high. The narrow money (M1) grew by 4.6% year-on-year; the social financing scale stock was 208.41 trillion yuan, a year-on-year increase of 10.7%. 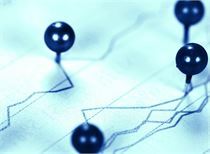 In the first quarter, RMB loans increased by 5.81 trillion yuan, an increase of 952.6 billion yuan year-on-year; foreign currency loans increased by 46.1 billion US dollars, an increase of 13.7 billion US dollars over the same period of last year; the increase in social financing scale was 8.18 trillion yuan, 234,000 more than the same period of the previous year. 100 million yuan. Data show that at the end of March, the broad money (M2) balance was 188.94 trillion yuan, an increase of 8.6% year-on-year, setting a 13-month high, respectively. The growth rate was 0.6 and 0.4 percentage points higher than the end of last month and the same period of last year; narrow money (M1) The balance was 54.76 trillion yuan, a year-on-year increase of 4.6%. 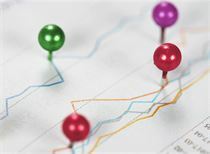 The growth rate was 2.6 percentage points higher than the end of last month and 2.5 percentage points lower than the same period of the previous year. The balance of circulating currency (M0) was 7.49 trillion yuan, a year-on-year increase of 3.1%. ChinaMinsheng BankChief researcher Wen Bin believes that March M2 hit the highest growth rate since March 2018. The main reasons include Marchforeign exchange reservesThe scale has achieved “five consecutive rises” since November 2018, and foreign exchange reserves are expected to achieve positive growth, which is conducive to liquidity; fiscal deposits decreased by 692.8 billion yuan, a year-on-year decrease of 212.6 billion yuan, and increased currency investment;CreditGrowth has accelerated compared to the same period last year and the derivation capacity has increased. In addition, the year-on-year growth rate of M0 rebounded from -2.4% to 3.1%, and M1 rebounded from 2% to 4.6%, reflecting the improvement in corporate liquidity. It is worth mentioning that in the first quarter, RMB loans increased by 5.81 trillion yuan, an increase of 952.6 billion yuan. 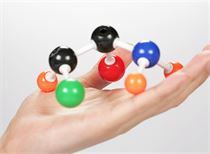 In terms of sub-sectors, loans from the household sector increased by 1.81 trillion yuan, of which short-term loans increased by 429.2 billion yuan, medium and long-term loans increased by 1.38 trillion yuan, and loans from non-financial enterprises and institutions increased by 4.48 trillion yuan, of which short-term loans increased by 1.05 yuan. 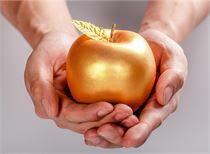 One trillion yuan, medium and long-term loans increased by 2.57 trillion yuan, and bill financing increased by 783.3 billion yuan;bankIndustrial financial institutions' loans decreased by 487.9 billion yuan. Bank of CommunicationsLian Ping, a senior economist at the Center for Financial Research, and senior researcher Chen Wei analyzed that in March, after the absence of the seasonal factors in February Spring Festival, credit was usually decentralized for fiscal deposits, plus the banking system after multiple targeted RRR cuts. Liquidity is also relatively abundant, creating a good liquidity environment for the credit rebound in March. From the perspective of credit investment structure, it shows that the credit support of the real economy in 2019 has been significantly enhanced. In the future, we cannot ignore the changes in the medium and long-term loans of residents under the background of policy partial adjustment. In addition, the interbank RMB market peers in MarchBorrowingMonthly weighted averageinterest rateIs 2.42%,PledgeBondRepoMonthly weighted averageinterest rateAt the end of March, the national foreign exchange reserve balance was 3.1 trillion US dollars; in the first quarter, cross-border trade RMB settlement business occurred 1,291.71 billion yuan, and direct investment in RMB settlement business occurred 590.62 billion yuan. 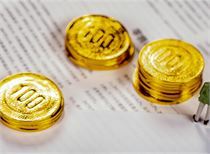 According to preliminary statistics, the stock of social financing at the end of March was 208.441 trillion yuan, a year-on-year increase of 10.7%. Among them, the balance of RMB loans issued to the real economy was 140.98 trillion yuan, up 13.8% year-on-year; the balance of foreign currency loans issued to the real economy was 2.18 trillion yuan, down 11.3% year-on-year. Wen Bin believes that overall, the growth rate of social welfare has gradually stabilized and rebounded this month, the market liquidity is relatively abundant, the credit of the residential sector and the enterprise sector has improved, and the financial support entity economy has strengthened. In the next stage, it is expected that monetary policy will maintain a moderately sound and stable tone, and the probability of recent RRR declines. However, in the case of improved “quantity” of financing scale, it is more appropriate to pay more attention to the smoothness of policy transmission and the reasonableness of “price”. The cost of financing the real economy is reduced. 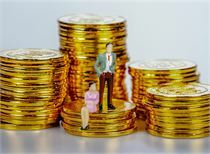 The data shows that the increase in the scale of social financing in the first quarter of 2019 was 8.18 trillion yuan, 2.34 trillion yuan more than the same period of the previous year. Among them, RMB loans to the real economy increased by 6.29 trillion yuan, an increase of 1.44 trillion yuan year-on-year; foreign currency loans issued to the real economy increased by 24.1 billion yuan, a year-on-year increase of 25.1 billion yuan. In terms of structure, RMB loans to the real economy in the first quarter accounted for 76.9% of the social financing scale in the same period, down 6.1 percentage points year-on-year; foreign currency loans to the real economy accounted for 0.3%, down 0.5 percentage points year-on-year. 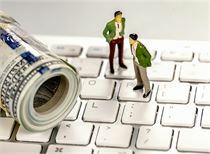 Lian Ping and Chen Yu said that in the overall situation of the first quarter, the proportion of RMB loans in the social financing scale stocks was 67.6%, while the proportion of trusts, entrusted loans and undiscounted bank acceptance bills in off-balance sheet financing Compared with the same period last year, it has decreased. The proportion of RMB loans in social welfare declined. The main reason was that local government bonds in the new social integration statistics were issued earlier this year and progressed faster. In addition, at the end of 2018, the total assets of China's financial industry institutions were 293.52 trillion yuan, a year-on-year increase of 6.4%. Among them, the total assets of banking institutions were 268.24 trillion yuan, a year-on-year increase of 6.3%; the total assets of securities institutions were 6.95 trillion yuan. , an increase of 1.7% year-on-year;InsuranceThe total assets of the industry were 18.33 trillion yuan, a year-on-year increase of 9.4%. "Social bottom" is here! The second quarter of the bull market opened? The latest view of 8 major brokers such as CITIC: The market style has changed. 996 big debate! Ma Yun talked about it again. The People’s Daily also made a sound. The details of the female car owner's rights defending event surfaced. CCTV commented on the "shop big bully". What does Mercedes-Benz disdain for consumers? [global] Last night, the United States had a big event. The whole world was frightened! The second quarter of the bull market opened? What is the battle of the commodity wind direction?